Getting a toddler to eat is easier said than done. Often, even before a child hits the age of two, they develop strong preferences for foods, and these likes and dislikes can be extremely hard to overcome. However, the value of a nutritious, well-balanced diet can hardly be overstated, and it brings immense benefits to the developing mind and growing body of your young child. 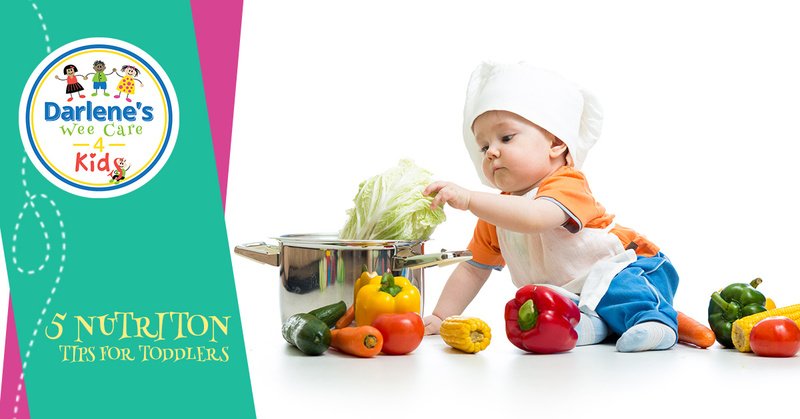 Here are a few nutrition-based tips to help your child to get a great start in life. Toddlers are masters at reading body language, and they are excellent at mimicking or mirroring the nonverbal signals you’re giving off. If you offer your child a broccoli sprout while your facial is a dead giveaway that says, “I bet my kid is not going to like this,” but you offer them a popsicle with a face that says, “Oh, they’ll be excited about this,” your child may reject the healthier snack purely based on what they’re reading from you. When you introduce healthy snacks to your child, try doing it in a way that conveys excitement, delight, and an upbeat attitude. If your facial expression and body language is saying, “This is going to be absolutely magical,” then your excitement may be contagious and your child may end up loving that broccoli or celery. When you feed a child who is a picky eater, it’s sometimes hard to get them to eat anything but junk food. One simple method that works for adults might work for your child, too: Just refuse to buy it. If you don’t have it in the house, you can’t succumb to taking the easy way out when they are putting up a fuss over eating healthier options. One of the mistakes that parents make is having children eat at a separate table or at separate times from when you’re eating. Like we said, children are masters of imitation, and if your toddler or preschooler sees you eating carrots, they’ll be more likely to want to do it themselves. Your good example can only go so far at getting a young child to eat the right things, but it can play a part. Our grandparents’ generation tended to frown on letting children play with their food, but this is how they interact with everything in the world. Watch how your young child explores almost every toy by putting it into their mouth. Why shouldn’t they explore new foods the same way? If you give a child the opportunity to play with the foods they are supposed to eat, they may just unconsciously start tasting them. You can even increase this propensity by playing with the food with your child. The younger your child is, the more they will have a palate that doesn’t discriminate between different-tasting foods. Introduce them to a wide variety of nutritious treats early. And to make it easier on yourself, don’t introduce them to the things that you’ll have to struggle to limit later on, such as ice cream, soda, and candy. We hope these tips have been helpful to you. Choose our preschool in Upper Darby for a day care program that’s fun, affordable, and nurturing to kids of all ages. Contact us today to start the enrollment process.